A great accessory for air gunners of any level. The Cone pellet catcher offers a affordable, compact way to polish of your aim. 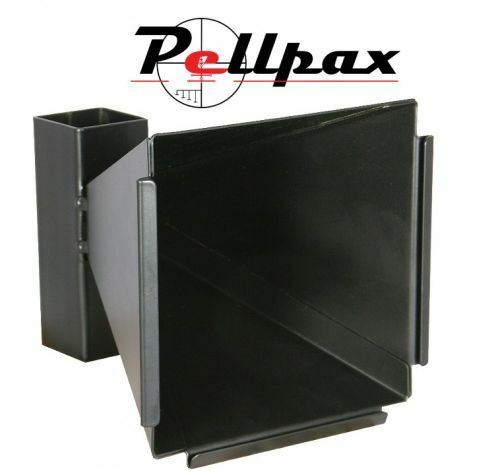 Having a solid steel construction this pellet catcher is very durable and can be used time and time again. Able to take 14cm x 14cm targets the Catcher has a unique cone shape which reduces the rebound of pellets. It's design means it can be wall / post mounted but can also be left free standing allowing you to choose your preferred one. Along side the catcher 10 targets are included to get your started straight away!